Xi Enting is famous player of Chinese table tennis national team used this rubber and won many international table tennis competitions. The rubber is very elastic and produces powerful strokes. Very spinny in all variety of strokes. It seems I received a bad item. It doesn't pick anything, Zero tackiness for a chinese rubber, barely above Evo FX-P. (wrinkled protective film might have not done its job)... so it doesn't lift the ball and my usual protective sheets I use for chinese rubber barely stays in place. Difficult to glue it on the blade, also small for oversized blades. The japanese sponge does delivers the desired medium speed, with a high pitch clicking sound, but has low throw angle. 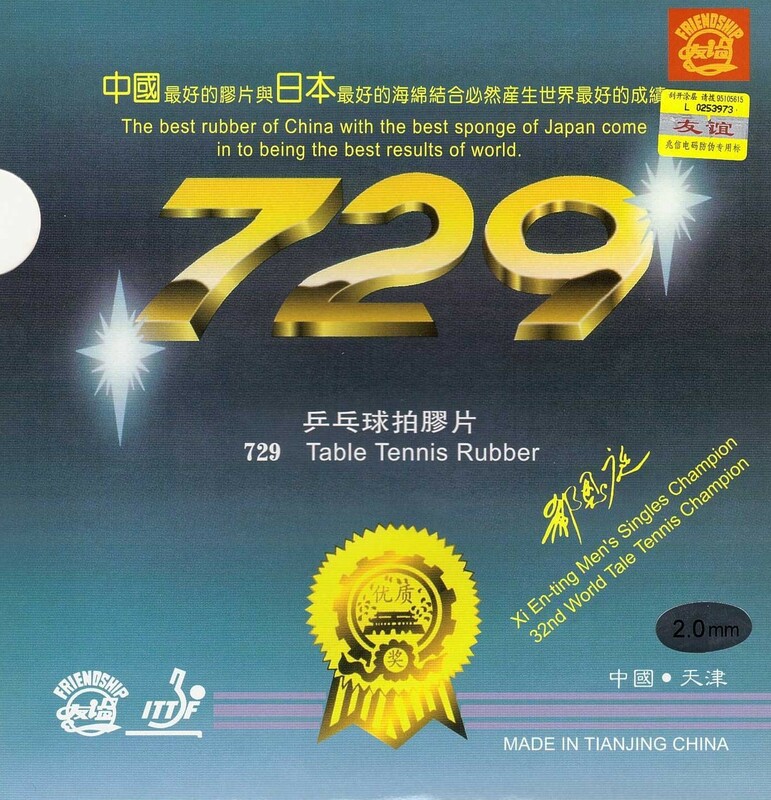 Very disappointed with this version from 729. The rubber is exactly as I was expected, sticky and slow. But condition the rubber itself was bad. It is arrive bulging and twisted. (old rubber, not due to bad delivery handling). This rubber is very grippy, and maintained its grip for as long as I've been using it, which is about 3 months. However, the edges on mine have bent and like.. seem like they're about to chip away anytime, and it really puts me off. This Rubber is very sticky surface & spinny.But not too bounce & need to booster to boost it,it will got better feel.Just like the other chinese Rubber.Thanks. This Rubber is same as most Chinese rubber very sticky surface.But the sponge is not too bouncy,it need to Falcon booster oil to boost it to able get better for more speed & spin.Thanks. Very nice rubber that delivers good spin with excellent control. Speed is there when you need it. Great price for a very nice rubber. After few trening more with this sponge(japanese) its very interesting. Spin on spin is great.